Let me just go on record and say that I’m a die hard Minnesota Vikings fan. Make no mistake about it! However, I lost a bet with a friend (yikes) who is a Chicago Bears fan and now I have to buy Chicago Bears apparel and promote it on ThingsMenBuy.com! Yuck, this is painful, but a bet is a bet, and I never welsh on a bet. Saying those words are very painful to me, but hey, I did so and the experience was A+. 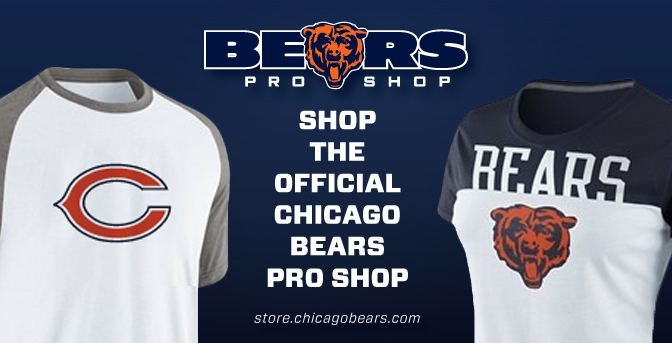 If you are going to cheer for the Bears, you may as well represent strong and wear their official gear, and the best place to get that is right here at the official team store. There, I did it. My bet is paid. Ugh. I’m going to go wear my Diggs jersey with pride now. For all of you Bears fans, you can use this link or click the banner below and you’ll be in great hands.